I know what it’s like to feel a being die in my arms, to assist in the taking of a life, the life of a thirteen and a half year old, arthritic, lame, nearly deaf, visually impaired, incontinent, well-loved companion: our dog Rudy. I know what it's like to see the pink poison bleed from the syringe into his vein, to hold his happy head in my lap until it is lax, to sense his breathlessness and to be told that he is gone. It’s miserably sad, leaves a hole in my heart and a sour pit in my stomach. I miss him. 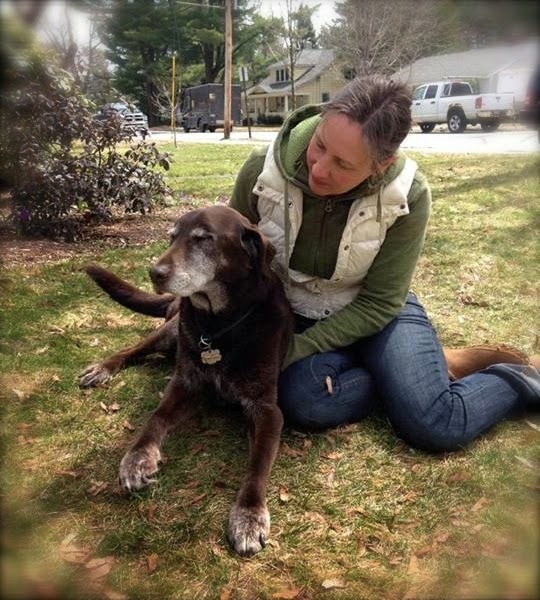 Yet, it was the humane thing to do for an old dog who spent his final days in much pain. Still, I hesitated, it was not an easy thing to do, and my melancholy lingers like smoke from dying embers. When I read the news of last week's botched execution of Clayton Lockett in Oklahoma, I literally felt sick to my stomach, my mouth watering as bile rose in my esophagus. Though his crime was indeed heinous, I was reminded of how loathsome it feels to live in a country where capital punishment is still legal, while the rest of the civilized world has banned its inhumane use, and in the face of overwhelming evidence that the barbaric practice is no deterrent to crime, of mounting proof of its innocent casualties, of the tremendous monetary cost to society as compared to issuing life sentences without parole. “We live in a vindictive society,” Michael says to me, and I ponder the hypocrisies of some—not all—who claim to be pro-life but might gladly strap a fellow human being to a gurney and shoot him full of lethal drugs, or lash him to an electric chair or stand him before a firing squad or hang him at the end of a noose or lock him in a gas chamber; all methods still used in this country. And though I’m not a Christian, I find myself wondering about the fate of the accused in a majority Christian nation, and I think I know the answer when I ask myself, what would Jesus do? I can’t say how I’d feel if I were the mother or the sister or the daughter of a murder victim, but I hope I wouldn’t elect to snuff out the life of another as a way to teach society that murder is immoral, as a way to right a wrong, as a way to get even. What message does that send to our children? There is no justice in that, particularly when studies are beginning to reveal the significant number of death row inmates who are innocent of their crimes, a disproportionate number likely being black. When I looked at some statistics, I learned that men favor capital punishment over women, conservatives over liberals, the less educated over the well educated, the old over the young, the states of the South and Midwest over the East and West. Still, it's difficult for me to understand anyone advocating for the taking of another human being's life in an attempt to make things right. I wonder, too, how victim’s families feel when the accused are executed. Do they really feel better? Do they feel vindicated? Righteous? Do they sleep at night? Can they live with themselves? What are their fears? What makes some of us so vengeful, so eager to delight in others' suffering, so ready and willing and justified in taking another human life? And then, as always, I think about Calvin and about people who'd consider themselves suitable to decide whether children born like Calvin should live or die. I've heard them talk on the radio, their voices always sounding the same—boorish, small-minded, big-mouthed and vile—and I hear them cast aspersions on the innocent, hear them damn select groups of society, hear their hateful vitriol, and I wonder if they ever had someone—anyone—die in their arms, how might they feel? Amen. Very well said indeed. I read this post first thing in the morning and then thought about it all day. You've said it all so beautifully and tied it in with your own life. Thank you, Christy. Happy tails , good dog Rudy , I will miss seeing you on my rides .